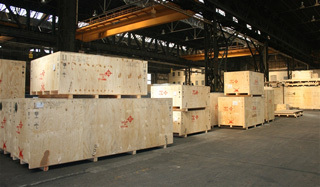 Import of goods and cargo for processing. 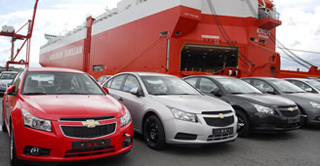 Import for processing - is the import of goods followed by their placement under the customs economic regime that does not provide the customs duties, taxes, and non-tariff regulation measures. Deadline during which the goods may remain in the country, is 3 years. According to the expiry of the resulting products must be transported out of the country or the Union. Import of goods for processing on customs territory is undertaken when the necessary operations for any technological, economic and other reasons, it is impossible or unprofitable to produce in the territory of one state. processing of goods used for production optimization, including when the goods to some extent or completely consumed during processing. Request for permission to place goods under the import regime for processing may submit to any interested person, and change it to another mode if necessary. Registration of the relevant documents and cargo assessment involved the customs authority which has received the application and processing - plant licensed resident. This procedure, as well as processing outside the customs territory, temporary importation and the use of other modes require a sound economic rationale, accurate calculations related costs, knowledge of a number of countries, legislation and other factors. In accordance with Russian and international law, every consumer has the right to provide quality products and services. Accordingly, the manufacturer or the seller is obliged to exercise this right. Unfortunately, the quality of goods when purchasing is not always possible to control, so there is a warranty repair or replacement of products that fail due to the assumption of the factory marriage. Warranty repairs are possible during the term of the manufacturer's responsibility, including in the process of foreign trade. Import for warranty repair of the goods previously sold abroad, also provides for placing them under the customs regime of processing. After the end of maintenance work in the re-export of products mode returns to a foreign customer. 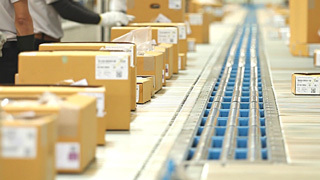 In addition to the above, there are often other situations, when the goods are of poor quality, are at different stages of the customs clearance and transportation, must be returned to the manufacturer or supplier. Professionals of "Association of Customs Brokers" will help determine the most favorable customs regime, prepare documents and conduct other activities, the purpose of which is to minimize customer costs.